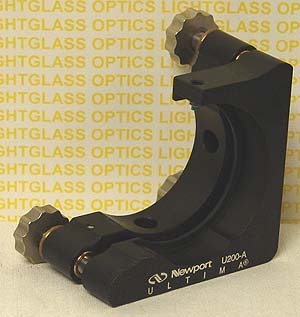 The Newport U200-A3K Ultima Kinematic Optical Mounts are a heavy-duty everyday mount for up to 2" optics. Being of modular design, they accept a variety of actuators and are very versatile in the range of optical components they will accept. The U200-A38 has 3 HPS-80 actuators for full control of tip, tilt and translation. This Newport Ultima mount is an economical way to mount mirrors, filters, and lenses.